Respect is important in any relationship, be it personal or professional. Similarly, it has always been a requirement for successful workplaces. 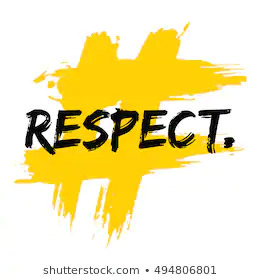 Respect is the foundation, which lies at the base of all positive business successes that arise from living and working in a diverse environment. Strong workplace relationships are of a vital importance in order to build on a company’s success, but that respect must be mutual in order for the relationship to be positive. The most important idea to understand about mutual respect is that you’re dealing with a two-way street. You can’t force someone to respect you just because you happen to be on a higher position or your name is on the door. You have to earn it. You have to show them that you’re worthy of it. If the workplace comprises of mixed kinds of employees who are different from each other by race, religion, culture etc or having people from various regions, then it is called a diverse workplace. Thus, having a diverse workplace is very important because the boost it gives to the company will be high and productivity also increases. Also Workplace diversity fosters mutual respect among employees. Whether employees work in groups or teams comprised of co-workers with varied work styles, or colleagues who represent different cultures or generations, a synergistic work environment become the norm. Although an idyllic atmosphere may be difficult to achieve, employees nevertheless recognize the many strengths and talents that diversity brings to the workplace and they gain respect for their colleagues’ performance. Mutual respect means that an employee is willing to put in a little extra effort and work harder because they know that you appreciate what they do and that you would be willing to do the same if the situation was reversed. Mutual respect means that if you do make a mistake, an employee is going to give you the benefit of the doubt because it’s the same courtesy you’ve afforded them in the past. Mutual respect also means that all employees understand and even believe that they have an equal voice. 1) Reduce workplace stress, conflict and problems and improves relationships among people and will help to improve communication between collegues which would lead to increase teamwork and reduce stress. 2) Increases productivity, knowledge and mutual understanding and respect will increase, the exchange of ideas will rise which will increase company knowledge and innovation. When people work with one another with peace and harmony, they don’t have the time to focus on other shallow and petty ideas. As we have seen, respect is a very important contributor to forming a positive work culture. There are many ways that you and your employees can demonstrate respect to colleagues which includes effectively managing their anger, communicate in a polite manner, encourage and helping each other and avoid judging their peers.